Well, if anything lures me back to blogging then it may as well be Theresa May’s speech outlining the government’s long-awaited plan for Brexit. I must admit that I am rather conflicted. This blog is on the record as holding Theresa May in rather low esteem in terms of her commitment to small government, individual liberty and conservatism in general, but it cannot be denied – least of all by someone like me who routinely criticises political speeches for being dull and uninspiring – that from a purely rhetorical perspective, May’s speech was satisfying both in terms of emotion and ambition. When nearly every other major set piece speech in British politics is little more than a dismal effort to placate a restive and self-entitled electorate by promising the people Free Things Without Effort or Consequences (ask not what you can do for your country but what your country can do for you), here was a speech that set its sights a little higher and actually aspired to statecraft. Without straying into undiplomatic language, May firmly placed responsibility for Brexit at the foot of a Brussels supranational government which is inflexibly committed to endless political integration by stealth, with member state individuality subordinate to European harmonisation. Of course this blog, unconstrained by any need for diplomatic restraint, would have gone further. Theresa May was at pains to state that a strong and united European Union is in Britain’s interest, which sounds magnanimous and sensible until you actually recognise the punch which is being pulled. If the EU is an antidemocratic straightjacket imposing unwanted political integration on national populations who are ambivalent at best, why do we wish that the organisation prospers for decades to come? Do we not think our European friends and allies as deserving of democracy and the right to self-determination that we demand for ourselves? But this is nitpicking – the Brexit negotiations would hardly be served if May openly salivated at the prospect of the breakup of the European Union. All of this is good. So why am I not celebrating? Because then the prime minister proceeded to outline her government’s plans and priorities for the upcoming Brexit negotiation. And at that point it became clear that we are not dealing with Abraham Lincoln but rather with James Buchanan. In other words, the real problem with Theresa May’s speech came when she pivoted from the background context to the government’s 12-point plan (or exercise in wishful thinking). In just a few short passages May has driven a horse and cart through all good sense. For starters May has misunderstood the exam question. The process of leaving the EU is to negotiate a framework for leaving and a framework for continued cooperation. Instead she has taken it as the process of securing a trade deal – which doesn’t even begin to acknowledge the depth and complexity of the task. Because of this Theresa May will ensure we pay the maximum price possible. By any estimation there is no possibility of securing a comprehensive agreement in two years and if we reach any kind of impasse then all of the leverage falls to member states as we beg for an extension. Worse still, May has fallen for the mantra that no deal is better than a bad deal and is prepared to walk away from the table. This would result in the WTO option and would be the single most egregious act of economic self harm ever recorded. As much as that is to be avoided there is now every chance that it will happen by accident as our time expires. May has drunk deeply from the Brexiteer kool aid and Britain is about to find itself substantially poorer with fewer opportunities for trade. This will be the Tory Iraq. Blundering with half a clue and no plan and no real understanding of the landscape, resting the fate of the adventure on some overly optimistic patriotic nostrums that fold at first exposure to reality. Mrs May has set her face against a rational, measured Brexit and is embarking on a wild gamble, the outcome of which she has no way of predicting. Such is her idea of pursuing “a bold and ambitious Free Trade Agreement with the European Union”, an undertaking which others have tried in the recent past – the most recent being Canada, which has spent eight years now in trying to bring an agreement to fruition, and we’re still waiting. The possibility, therefore, of the UK negotiating a deal (and getting it ratified) inside two years is, to say the very least, remote. Nevertheless, there are those who think otherwise. They argue that, because the UK is already in the EU and achieved full regulatory convergence, transition from one type of agreement to another should be relatively straightforward and swift. That, however, is completely to understate the complexity of modern trade agreements. In addition to regulatory convergence, there must be a dynamic arrangement that will ensure the automatic uptake of new regulation, and also the changes mandated by ECJ judgements. There must also be internal market surveillance measures, agreed conformity assessment measures, customs agreements, dispute settlement procedures, agreements on competition policy, procurement and intellectual property rights, as well as systems to deal with rules of origin. These and much else, will require an institutional structure to facilitate communication and ongoing development, a form of arbitration panel or court, and a consultation body, which allows input into, and formal communication with the EU’s regulatory and institutional system. This is my way of saying that to achieve a “bold and ambitious” free trade agreement with the EU inside two years is not just difficult. It is impossible. It cannot be done. And it doesn’t matter how many times it is discussed amongst the chattering classes, it still can’t be done. It has been over eighteen months since this blog woke up to the fact that lazy Brexiteer tropes about quick-n-easy free trade agreements being the golden solution to every problem simply do not cut it in the face of such an unimaginably complex undertaking as extricating the United Kingdom from the European Union. Since that time, it has become clear to me and many others that forty years of political integration cannot be unpicked within the two-year timeframe granted through Article 50 of the Lisbon Treaty, and that any attempt to negotiate a bespoke solution within this timeframe would see us hit the deadline without a deal in sight, leaving us at the mercy of the EU27 as we scramble for an extension or risk going over the cliff and resorting to WTO rules. So as a priority, we will pursue a bold and ambitious free trade agreement with the European Union. Okay, great. And you plan to accomplish this in just two years, at a time when we are rebuilding our national trade negotiation competency from scratch? And what about the numerous other aspects of our co-operation with Brussels that do not directly relate to the single market? What process is there to be for evaluating and renegotiating these? Ministers clearly still view Brexit through the narrow lens of wanting to sever all of the ties that bind us to Brussels and hope that a “quick and dirty” free trade agreement will somehow be a good substitute for patiently considering and unpicking each individual strand of co-operation between London, Brussels and the EU27. And unless Theresa May has another, top secret Brexit ministry devoted to unglamorous issues like mutual recognition of regulatory standards (rather than burbling inanities about tariffs) then we are in for a very rude awakening at some point within the next two years. Look: I like the ambition and confident tone of Theresa May’s speech. I like some of the swagger and self-confidence. And if May had been speaking about any subject other than Brexit in this manner I would be on my feet, giving a standing ovation. But unfortunately the prime minister has chosen to be smug and blasé about the one topic where airy self-assurance alone cannot win the day. The prime minister accurately summed up many of the problems with the European Union, and did a good job in reminding people what an indispensable country Britain really is to the future economic, cultural and geopolitical prospects of Europe. That’s great. But it doesn’t begin to explain how Britain is going to negotiate an entirely bespoke new relationship with the European Union within two years when far less extensive deals focusing purely on trade routinely take over a decade to complete. Ambition is good, but it must be tempered with reality. 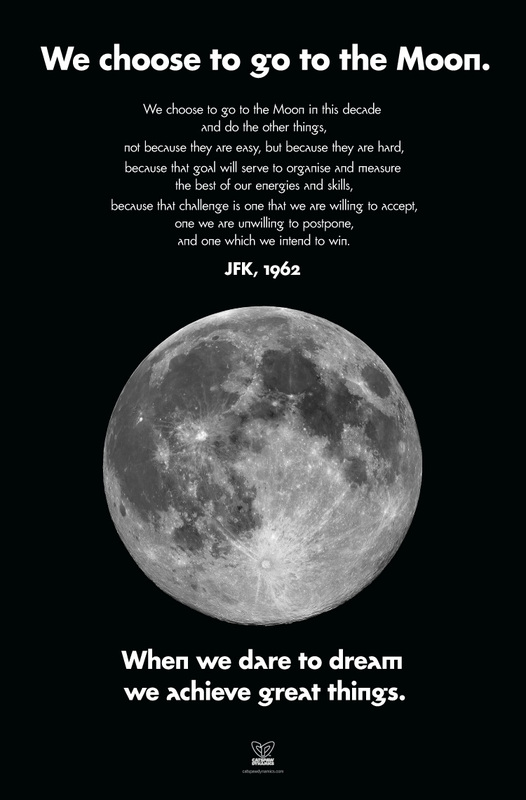 When John F Kennedy dedicated America to landing a man on the moon and safely returning him to Earth before the end of the 1960s, the specific technologies and facilities needed to achieve the historic feat may not all have existed, but the competencies to invent and build them certainly did. Not so with Britain and the goal of a two-year bespoke Brexit deal. Unpicking forty years of political integration within two years would be an unimaginably tall order at the best of times, even if the organisation into which we are subsumed had not gradually drained us of the critical competencies required to complete the task. Theresa May promising a clean Brexit given our current national capabilities and negotiating climate is like President Theodore Roosevelt promising a moon shot in 1903, when the Wright brothers rather than Wernher von Braun represented the pinnacle of aviation technology. So mixed feelings. How nice to finally hear a political speech that is so outward-looking and ambitious in content, positive in rhetoric. How sad that this particular one is likely to end in disappointment and recrimination. So begins the Electoral Reform Society‘s autopsy report of the EU referendum and Britain’s shock decision to leave the European Union. The simpering “or have they?” tells you everything that you probably already suspect about this report – that despite whatever other good work the ERS might do, this is a metro leftist, superficially and uncritically EU-loving effort to come to grips with what they evidently view as a political disaster. If something bad like a plane crash happens, the Air Accidents Investigation Branch will pick over the wreckage and file a report outlining the chain of events leading up to the tragedy. It is the kind of report which damns by its very existence – nobody commissions a sober post mortem report about something delightful that has just happened. The ERS’s perspective on Brexit is established in the first seven words, and even before then by its very existence. That’s not to say that the report is worthless – despite its clear bias (I’ll eat my hat if author Will Brett or any of the other major contributors actually voted to leave the EU) there are some thoughtful deliberations on how to get citizens involved in any future referendum planning process so that the procedure feels less like something which was suddenly foisted on the people, the rules being made entirely by shadowy people in Parliament. Nor can I argue with the report’s recommendation to extend citizenship lessons in primary and secondary school. This blog has long stood for mandatory civics classes thoughout the duration of secondary education, not only as a way of developing good future citizens in place of self-entitled little snowflakes, but also as a means of celebrating, transmitting and reinforcing core British values on classes which may be very ethnically and culturally mixed, thus helping to end self-enforced apartheid. Read the whole thing here – it touches on more areas than this single blog post can feasibly analyse. But soon the wheels start to come off the report. This first happens when the ERS make egregiously misleading use of the “factoid” that there was a large spike in Google searches of the phrase “What is the EU?” in the immediate aftermath of the result. This was immediately taken by the stunned Remainiac establishment to be proof that we bovine Brits had voted for something which we did not even understand. Google Trends data isn’t actually representative of the number of total searches for a term, but a proportion of all searches at a given time. The company highlights spikes in searches based on what else is being Googled at a given moment in a geographical area. So in the early hours of Friday morning searches for “What is the EU” briefly spiked compared to what else was being asked. To put it in context, the search only outstripped that for “weather forecast” between 01:30 and 04:30 in the morning, but by 05:00 that had changed. Data from AdWords, which offers more specific numbers for search terms, shows that the 250 per cent increase in searches actually correlated to about 1,000 people asking the question. In other words, bitter Remainers called into question the intelligence of half the country based on the Google search activity of no more than a thousand late night stoners who didn’t know what the European Union is but who were also far too moronic to find their polling station, let alone put an X in a box. Yet the ERS still considered this deceptive factoid worthy of inclusion at the beginning of their report. At the start of the regulated period the Electoral Commission, or a specially commissioned independent body, should publish a website with a ‘minimum data set’ containing the basic data relevant to the vote in one convenient place . A major source of complaint about the conduct of the referendum was the supposed lack of independent information available about the vote. While there are real difficulties in separating out fact from political argument in these cases, a minimum data set ought to be possible. In other words, rather than assuming that the British people are mature and capable enough to frame the debate in the terms which matter most to them, the Electoral Reform Society would have some shadowy committee decide in advance the terms on which the referendum should be fought, and then produce a “minimum data set” of presumably quantitative data to guide decision-making. This is a truly terrible idea. The EU referendum probably meant something slightly different to every single one of the millions of Britons who voted. Even assuming that an approximate minimum data set could be hammered out, what was included and what was left out would inevitably reflect the biases or interests of those involved. We have enough trouble trying to come up with a referendum question which both sides feel eliminates bias or inappropriate suggestion. What makes the ERS think that producing a commonly agreed “minimum data set” would be anything but fraught, contentious and ultimately impossible? Besides which, the key issue of the EU referendum was intangible: do we think that British democracy is best preserved inside the EU or without? One can come up with endless (often contradictory) statistics debating the economic benefits, but what could one possibly collate to form the “minimum data set” to vote based on democracy? As political blogger I have read scores of history and politics books including some of the definitive critiques and praises for the EU, and the more I learned the less I realised I knew. In fact, as referendum day inched closer and closer and I saw other, established journalists and politicians make continual fools of themselves with their superficial and misleading analyses, I found it harder, not easier, to write. There is so much that I don’t know about how the EU works in practice and how international trade functions that I’m loathe to write much at all, and I actually spend spare moments reading some of this stuff and trying to learn. So what would be the Electoral Reform Society’s ideal minimum reading list for the country? But of course they are not suggesting a reading list at all. When the ERS propose a minimum standards set, what they really mean is a short list of bullet points emphasising all the ways that Brexit could harm the economy in the short term, assuming a worst case scenario. They want a beefed up version of the government’s already utterly immoral £9 million propaganda leaflet sent to voters before the EU referendum. Just to altruistically ensure that people are “better informed”, of course. Right-o. Is the current system perfect? No. Many Britons did complain that they felt they lacked sufficient information, or that they could not trust the information they were given. One could scarcely escape these modern-day Hamlets bleating their confusion on BBC Question Time. But in fact, while the status quo may be far from perfect, the giant flaws in more activist approaches like that proposed by the ERS are far worse. Will people sometimes make their referendum decision judgements based on poorly chosen criteria? Yes, of course they will. Would seeking to prevent this by artificially restricting the terms of the debate be any better? No, it would be a thousand times worse. Rather that power sits with sometimes-confused citizens than with politicians or civil servants with very fixed ambitions of their own. Besides, the awkward fact remains that while many voters may have liked to complain about not having all of the required information handed to them on a silver platter, a proportion of them were simply covering for their own laziness. As an ardent Brexit supporter I know I’m supposed to be waxing lyrical about the deep wisdom of the British people right now, but the fact is that there are a lot of stupid people out there, on both sides of the debate – people whose bovine cries of “but nobody is giving information” belies the fact that they haven’t watched the news in years because the TV remote got buried under a pile of pizza delivery boxes. An official body – either the Electoral Commission or an appropriate alternative – should be empowered to intervene when overtly misleading information is disseminated by the official campaigns. Misleading claims by the official campaigns in the EU referendum were widely seen as disrupting people’s ability to make informed and deliberate choices. Other countries including New Zealand have successfully regulated campaign claims – the UK should follow suit. Again, this reeks of mistrusting the electorate – of course, we already know that the ERS does so, it is the very reason for this report in the first place. But to see it spelled out quite so blatantly is remarkable indeed. For in the opinion of the ERS, citizens are not mentally equipped – even in the Age of Google, when everybody has a smartphone in their pocket capable of accessing the accumulated knowledge of mankind – to analyse political messages and determine truth or untruth, validity or invalidity. Rather, we are apparently in need of some external authority to pre-screen our reality for us. How on earth this is supposed to work is beyond comprehension. Set 100 top-tier university students the essay question “The EU brought peace to Europe. Discuss” and you will get 100 different subjective arguments, each with a unique perspective and most drawing from at least some unique sources. Say the Leave campaign takes a dislike to such a claim by the pro-EU side: what threshold would they have to meet to bring a complaint, and who has the final say as to whether the statement is misleading or not? And if a statement is found to be misleading, what should be the remedy? Front-page advertisements by the Electoral Commission in every national newspaper? Another propaganda leaflet through everyone’s door? Interrupting Coronation Street with some breaking news? As a policy prescription it is entirely unworkable, but as a middle class, metro-leftist sulk at the supposed lies and deceit of the Bad Man Nigel Farage and the Evil Tor-eees it makes perfect sense. And sadly, that is precisely why the idea of a Referendum Censor entered the Electoral Reform Society’s report. Given the frequency of party-political imperatives behind the calling of referendums, it is worth asking: what are the conditions where a referendum is really the best way of settling a political question? Perhaps parties and politicians should make a habit of reflecting on some of the difficulties around calling and then responding to referendums, and – where possible – seek to find a way through the thicket of representative democracy instead. How do you give people more control over government? I’ve always believed the answer is direct democracy: more decisions made by voters, fewer by politicians and officials. But the Electoral Reform Society seems to think the opposite. They want to give officialdom more control over direct democracy. Why? The ERS’s latest recommendations come from its scathing report on the referendum campaign. I also thought some of the conduct in the campaign was disgraceful. But much of their critique is misplaced. There is, for example, barely any criticism of the Remain propaganda issued by Downing Street at taxpayers’ expense. And no mention of the use of the civil service as an extension of the Remain campaign. Apparently, co-opting the organs of the State to gain an unfair edge is no big deal. The report also says people felt ill-informed, and the campaigns provided disinformation. Yet there is no admission that many of the outlandish claims came from supposedly independent “experts” – many of whose warnings, especially on the economy, have already been proven wrong. But the big problem with the idea of official arbiters for campaign information is not the practical execution, but the premise behind it. In a democracy, we already have an arbiter: it’s called the people. The whole point of democracy is that voters analyse what they are told by the opposing sides, and make their own decision. Underlying the ERS’s report is the sense that people can’t really be trusted to know what they are voting on, so instead we should let unelected technocrats decide for them. That’s not the kind of electoral reform Britain needs. And yet the report makes some worthwhile observations despite its inherent biases. The information made available to the general public through the media was indeed shockingly bad, as the ERS complain, with MPs and household name journalists alike vying with one another for the title of Most Ignorant on a daily basis. More galling for sites such as this, those of us who strove to deepen our knowledge were routinely shut out of the discussion. 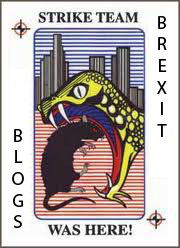 I doubt there is a better-researched and thoroughly produced political blog in the whole country than eureferendum.com, and Dr. Richard North’s “Flexcit” Brexit plan, yet few have ever heard of it thanks partly to the establishment closing ranks against somebody they view as an outsider but also to the fact that the Westminster political/media establishment are lazy, and don’t like putting in the hours of work it takes to speak confidently and knowledgeably on the real intricacies of Brexit and international trade. But whatever the individual merits of each point in the report, it still ultimately comes back to the question of why the report was produced in the first place. Had the EU referendum result been inverted and the Remain side triumphed in a 52-48 victory, would the Electoral Reform Society still have produced a report, albeit one streaked with fewer Remainer tear stains? I’ll be generous and say yes, they probably would. But would the content of the report and the ensuing recommendations be identical to the current version, with its overt worries about misinformation and an ill-informed population? I very much doubt it. And that tells you everything you need to know about the political bias of the Electoral Reform Society. With a final contest between May and Leadsom, [if] Leadsom wins, we are faced with the great danger of having a woman as prime minister who has little understanding of what it takes to negotiate a successful withdrawal from the EU, and no capacity to develop that understanding. On the other hand, if May is elected, we are faced with a danger just as great, in having a prime minister who brokers an exit plan which is so successful that we end up stuck with it, and in a position far worse than we are at present. If this sounds perverse, it is. What we are seeing from the “remains” is a sudden enthusiasm for the Efta/EEA or “Norway option”, an option which, prior to the referendum, they had all been falling over themselves to demolish. This, as readers here well know, we support as an interim option, acknowledging that it would be completely untenable for the United Kingdom in the longer term. We thus look for a different end game, which then takes us out of the EEA – with other Efta members – leaving the Agreement to collapse. Unfortunately, the opposition is wise to the flaws of the EEA option and, from the Robert Schuman Foundation, the intellectual heart of the EU, we see proposals to modify the EEA to such an extent that it will soften some of the worst features of the EEA, and thus weaken the pressure to move on. Dr. North goes on to describe the chicanery by which this might be accomplished – basically by making the EEA Council rather than the Council of the European Union the lead body in approving single market legislation, tackling the (already disingenuous) complaint that being in the EEA means accepting all of the rules while “having no say”. While superficially appealing, this could lead to Britain being permanently parked in a significantly sub-optimal position on the edge of a still-integrating Core EU in which the eurozone would inevitably be dominant. It would certainly undermine one of the key benefits of Brexit to an interim EFTA/EEA access “departure lounge”, namely the restoration of Britain’s right of reservation which we could apply to new regulation which threatened to inflict significant or unacceptable harm on our key industries or vital national interests. But while a Theresa May premiership increases the risk that Britain is sucked into a sub-optimal “associate member” status on the EU’s margins, Andrea Leadsom would do almost the exact opposite – invoke Article 50 almost immediately and then effectively let Jesus take the wheel, hoping that something satisfactory is miraculously negotiated within two years. Having recently started to appreciate the true complexity of the global trading and regulatory environment, largely thanks to my involvement with The Leave Alliance, it is immediately apparent that Leadsom’s cavalier approach to our EU secession negotiations is fundamentally unserious, no matter how genuine her euroscepticism. Leaving aside issues of personality, experience and gravitas – for few could seriously deny that May would be the more formidable negotiator to fight Britain’s corner – it is hard to see how a Leadsom negotiation could succeed when the candidate seems sure of little besides her impulse to take Britain out of the EEA, making our trade subject to the EU’s common external tariff in the far from certain hope that doing so dramatically cuts immigration. Therefore, from a purely Brexit-related perspective, Theresa May seems (counter-intuitively) to be the better choice if we want to maximise our chances of escaping from the EU’s always-tightening political union while disrupting trade as little as possible – even if this means that we have to remain permanently vigilant to ensure that May does not backslide from her commitment that Brexit means Brexit. But of course this Tory leadership election is not only about Brexit – though our secession from the European Union is by far the most important issue on our national plate, and will be for some time. Still, other issues cannot be overlooked entirely. Foreign policy, civil liberties, economic freedom, education, healthcare and the role of government matter enormously too. And in many of these areas, Theresa May is extraordinarily deficient. This is why I cannot simply swallow my distaste and endorse Theresa May outright. All of these other policy considerations must also be factored into the mix – which is what I shall attempt to do in my next blog post. The Brexit blogosphere is reporting early warning of a new dynamite poll – far more interesting, I think, than the Independent poll showing Leave implausibly ahead by 10 points – which shows significant public support for Britain leaving the EU via a staged process maintaining access to the EEA (single market) in the same way as Norway. The poll was commissioned by the Adam Smith Institute, who helped to shift the debate onto this ground by adopting the “Flexcit” plan developed by Dr. Richard North and readers of the eureferendum.com blog, promoting it in an essay “The Liberal Case For Leave” (authored by Roland Smith). The purpose of the poll is quite clear – to show that these is an as yet unmet public appetite for a staged approach to Brexit which extricates Britain from undemocratic and unwanted political union while also minimising risk. Norway’s position is that it is in EFTA, and is a participant in the single market via the EEA agreement. It retains freedom of movement for workers, and enacts single market law (not all EU law, but about 25% of the total number of legislative measures in the EU acquis). It is not subject to the ECJ, or party to the CAP/CFP policies. It does not apply the common EU position on global bodies, it has sole competence for trade negotiations (despite making joint agreements with EFTA partners), and is not subject Justice of Home Affairs policies or collective foreign policy. It has been the view of Flexcit advocates and The Leave Alliance that this is not only by far the most attractive approach in terms of allaying public fears and winning the referendum (without which any other differences between Brexiteers are rather academic), but that it is also the most practical and responsible way to extricate Britain from a complex political union at a minimum of risk. This poll would now seem to strongly vindicate that belief. And thinking just about the shorter term, the five or ten years immediately following Britain leaving the EU, would you support or oppose Britain having a relationship like Norway has, allowing citizens of other EU countries to live and work in Britain in exchange for keeping full access to the single market? This shows overall support for the interim EFTA/EEA (Norway) Option of 54 percent, against just 25 percent opposed, with 21 percent unsure. And among those currently intending to vote Remain, 79 percent are in favour of such a staged Brexit approach, while only 5 percent are opposed. The YouGov poll, commissioned by the Adam Smith Institute, shows that British voters would overwhelmingly support the “Norway option” in the event of a vote to leave. Support for this arrangement outweighs opposition by two-to-one. This poll destroys the arguments of extremist Brexiteers and those stubborn remainers who believe a market based solution would be unacceptable to the public. Reality is sinking in; if there is a vote to leave we will commence leaving political and judicial union but remain in the Single Market. This is the one subject on which extremist Brexiteers and ardent remainers have agreed on. Both have made exactly the same dubious counter argument; that if the British government were to remain in the Single Market it would be un-democratic and the public would simply not accept it. They have long maintained that a “leave the European Union” vote must also mean leaving the Single Market. Both have regrettably attempted to frame this referendum as a vote on immigration which it clearly is not. 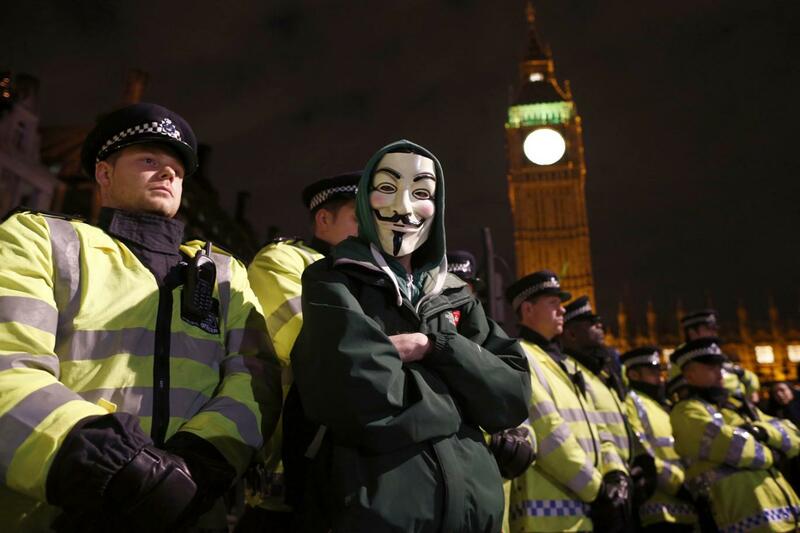 Both make ridiculous assertions that the public will “revolt” against a market based solution. We have said for some time that this was nonsense; that the economy is the number one concern and the public would support an economically safe exit. Now we have the data to prove it. Since the Norway Option (and the incredibly thorough and detailed Brexit plan resting behind it) have become more prominent in the national debate, its opponents – Remainers and a stubborn but vocal subset of Brexiteers – have been doing everything in their power to mock, discredit and otherwise slander the plan. The Remainers’ motivation is obvious – if it can be shown that Britain can leave the unloved political union of the EU while maintaining full access to the single market, nearly all of their apocalyptic fearmongering arguments about economic ruin are immediately blown apart, leaving the Remain campaign entirely without a case. The Norway Option’s opponents among Brexiteers tend to be the ignorant (including those who do not understand that it is an interim step designed to ensure economic stability while 40 years of political union are unpicked) and those who want to campaign on a platform of vastly slashing immigration and doing it yesterday, even if it means losing the referendum because moderate voters recoil. However, this new poll suggests that the interim EFTA/EEA approach to Brexit is an idea whose time has come. With so much garbage being spewed by the official campaigns on both sides of the debate, more and more people are turning in desperation to alternative news sources and alternative scenarios not being discussed by Boris Johnson or the establishment pin-ups of the Remain campaign. With less than two weeks to go until Referendum Day, we are finally arriving at a consensus – and we have done so despite, rather than because of the official Vote Leave campaign which has been barking about immigration and the NHS to the extent that people are tuning it out. There is a hunger out there for somebody to present a more grown-up plan for Brexit, one which acknowledges political realities and constraints that even low-information voters perceive to exist. And now we have that plan. What’s more, as the ASI/YouGov poll shows, when the outline of the plan is explained to voters they respond very favourably. This poll is dynamite. It shows that the scaremongering, falsehoods and outright dismissals poured on the Norway Option by Remainers and short-sighted Brexiteers have had no effect. It shows that a majority of Britons are sensible enough to realise that undoing 40 years’ worth of political integration with the EU may not be advisable to attempt in one short sharp burst, and that a plan which gets us out of the political union (and free from any future attempts at further integration) while maintaining economic stability – the top issue for voters – is potentially very popular. The only ones who now do not accept this are the blinkered leaders of the official Leave campaign. But the EFTA/EEA route has momentum now – it will not go away just because its existence is inconvenient for Boris Johnson or the other big names of Vote Leave. For those who have seen the polls of the last week and think that Leave has this referendum in the bag, I suggest a moment of reflection. Even if they are correct, there is every chance that the government will be able to scare people in the coming days, that there will be a resurgence for Remain. Polls are never the whole story. But polls can help to suggest to us in broad strokes what we think the public will accept, and we should begin by offering that option to them, explicitly and clearly, before the Referendum. When the margins are as large as the ones that You Gov have reported in this particular survey, I think it is safe to say that the Staged Brexit approach via EEA/EFTA, is the only option that is likely to receive sufficient support in the country and in Parliament to be able to bring together the opposing sides if we vote to leave. But with many moderates still undecided as to how they vote, there are clearly a significant number of Britons who may be very receptive to this new information. And hopefully the Adam Smith Institute / YouGov poll will inspire more influential pro-Brexit voices to begin making that pitch to voters. We could yet win this thing.